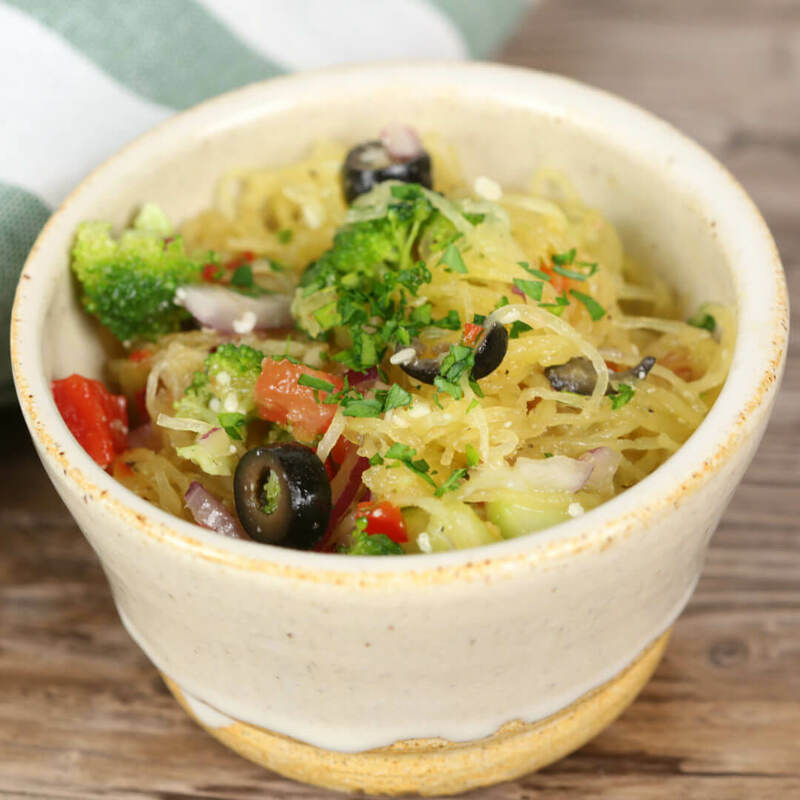 Healthy spaghetti squash recipes are the perfect way to cut carbs but not flavor! 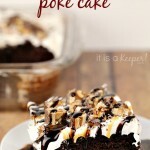 This one is fabulous, easy, and totally guilt free. 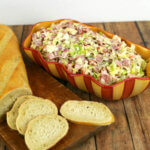 It is loaded with colorful veggies and a tasty cold side to any dish. 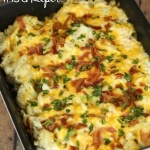 Check out my other summer recipes dinner for other great options! Spaghetti squash is such an easy substitution for pasta. The texture of this low carb noodle option makes it feel like you are eating traditional pasta but without the guilt! This recipe is easy, flavorful, and loaded with yummy veggies and that is what makes it the best spaghetti squash recipe to serve up with your dinner dishes. How To Cook Easy Spaghetti Squash Recipes? I am sure you are wondering how to cook easy spaghetti squash recipes? Well, you can have all of the flavors of carb dense pasta without the carbs. 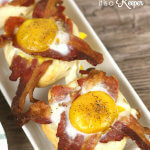 Plus, it is surprisingly easy to make and the whole family will love it, even the kids! Easy spaghetti squash recipes are strikingly similar to traditional pasta but you get an extra long, buttery noodle that will satisfy any pasta craving you are having. Bake it in the oven flesh side down or microwave it, yes this actually works! 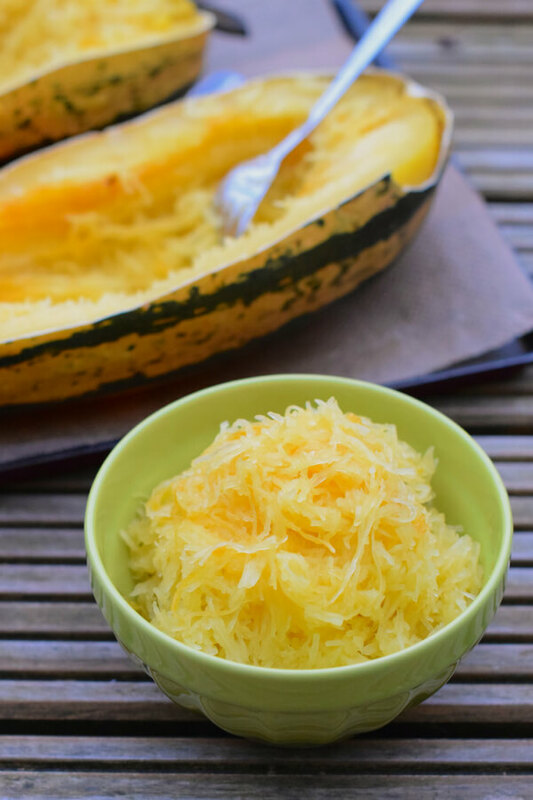 To make the best spaghetti squash recipe you will need a good sized spaghetti squash. The buttery goodness of the squash will be paired with a colorful veggie assortment including bell pepper, cucumber, tomato, red onion, broccoli, and black olives. Once assembled the house seasoning and Italian dressing make this easy spaghetti squash recipes phenomenal! I am not kidding you when I say this is the best spaghetti squash recipe. It never lasts long and there are never complaints! Once the spaghetti squash is sliced and cooked the recipe comes together in no time. This tender low carb noodle option is tossed with an assortment of easy seasonings, Italian dressing and chilled. 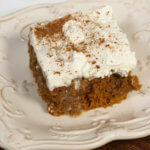 The chilling finishes everything off and marries the recipes incredible flavor. 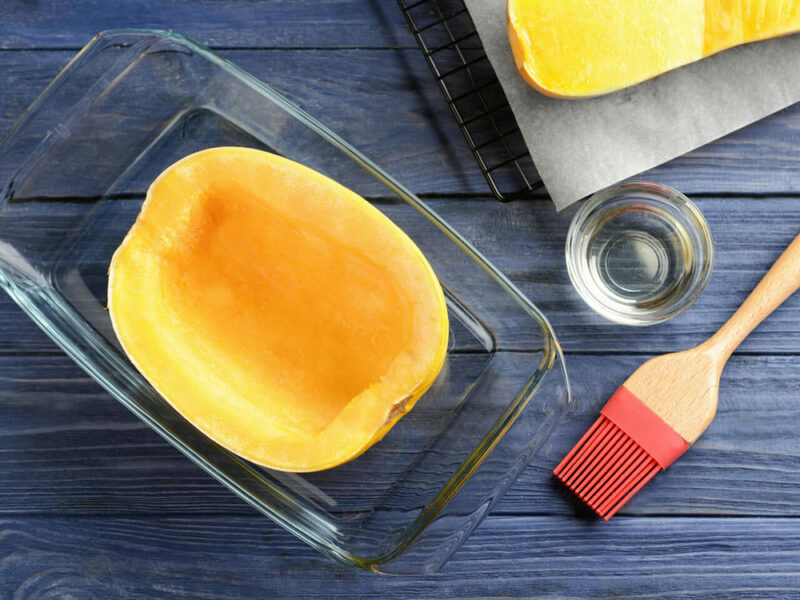 Making easy spaghetti squash recipes does not have to involve your oven. You can cook a spaghetti squash right in the microwave. Simply cut the spaghetti squash lengthwise and scoop out the seeds. 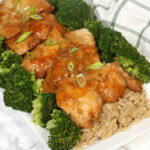 Place flesh side down in a microwave safe dish with about an inch of water. Microwave for 10-15 minutes depending on your microwave and squash size. Make it ahead of time and freeze it for an even faster assembly when you get ready to make it! Make sure your spaghetti squash is firm with no soft spots. Cut lengthwise in half for easy cooking. Score it with a knife and microwave for a few minutes (no more than 5) if you are having troubles cutting it. Easy pasta salad recipes are perfect for summer time. 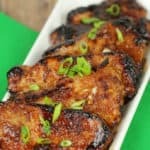 Take them to cookouts, serve them up as an easy side, or whip them up for snacks throughout the week. 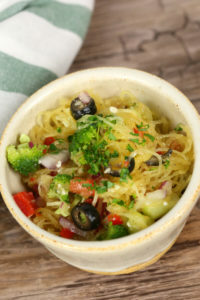 Sub in spaghetti squash for the noodles and you have a low carb noodle option. Make it different every time!1-2 sentences introducing the content. Add in crushed red pepper for a little kick. Add in other veggies like radishes or asparagus for extra crunch. Toss in bacon pieces for a salty provision. Quality Knife: Cutting spaghetti squash can be tough with just an ordinary knife so a quality knife makes it so much easier. Cutting Board: Protect your counter tops by using a cutting board for all of the cutting! This one is my favorite! Serving Bowl: Serve it right up in this serving bowl that is simply beautiful for salad recipes. Spaghetti Squash Cookbook: This one is perfect for exploring more tasty recipes using spaghetti squash. 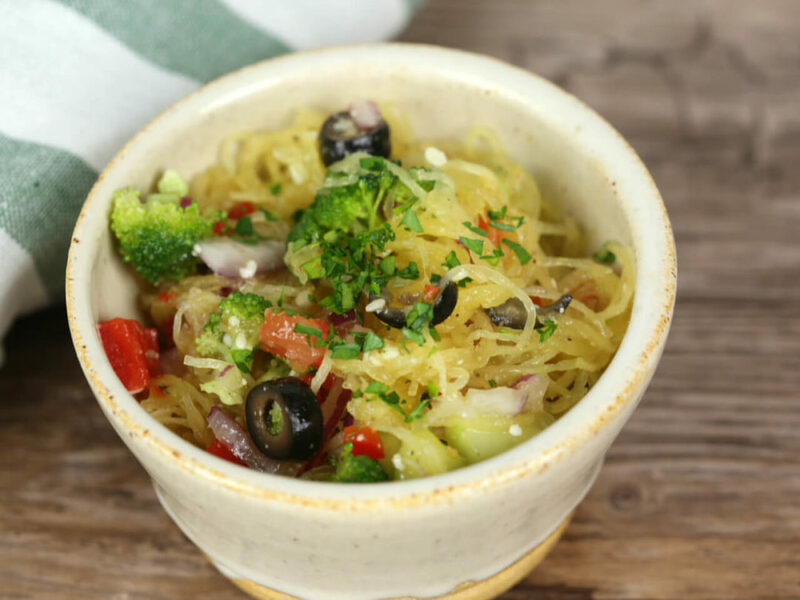 Healthy spaghetti squash recipes are the perfect way to cut carbs but not flavor! 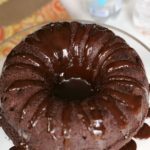 This one is fabulous, easy, and totally guilt free. 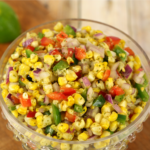 It is loaded with colorful veggies and a tasty cold side to any dish. 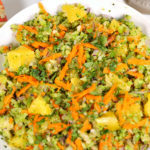 In a large bowl add prepared spaghetti squash, tomatoes, broccoli, cucumber, bell peppers, onion and olives. Cover and chill for at least 20 minutes to overnight. 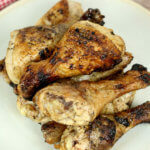 The longer this recipe sits, the more flavorful it gets. 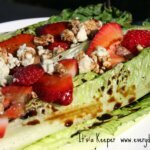 This salad looks so delicious! Can’t wait to try it! I can’t find where to print from. I go to print the recipe from the Facebook page,the recipe comes up but no button to print. Do zi have to go to your web site? you can print it right from the page where you commented. Just click on the “print recipe” button right under the photo in the recipe card.